Fun Technique Lovers Challenge (TLC349)! I like the technique and I’ve used a similar one before. 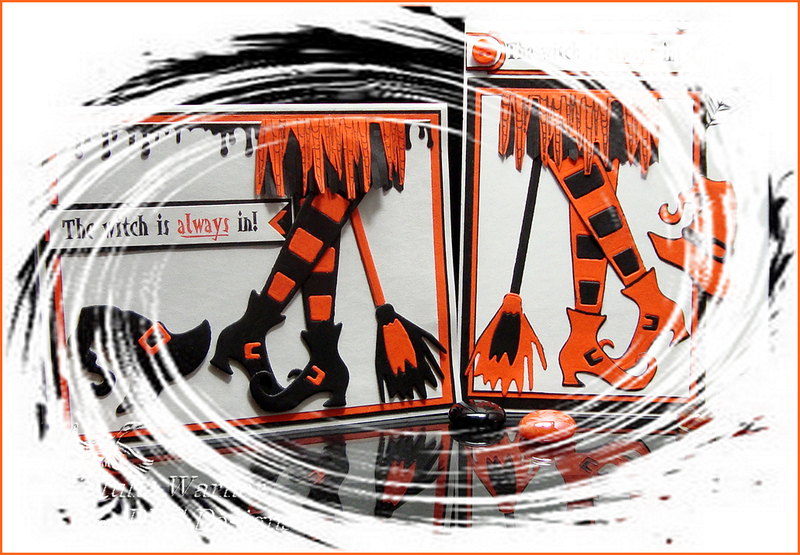 I only stamped the image twice and cut smaller layers out of larger ones. When I had them all cut, then I figured out what would show so I only spent time coloring those areas. All images are DRS Designs. The entire image is actually contained within the 3 rectangles plus the out of the box little boy. 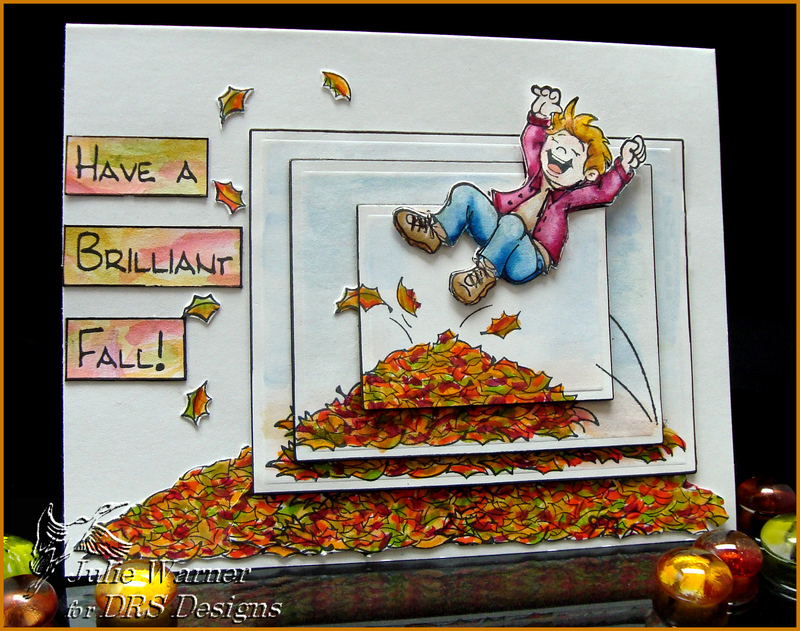 I stamped the leaves only a few extra times, colored them and cut it out to place under the final rectangle on the card front. The sentiment was stamped on a piece I quickly added some color to and cut it apart to fit. A few little leaves were added because too much white space makes me nervous, lol. 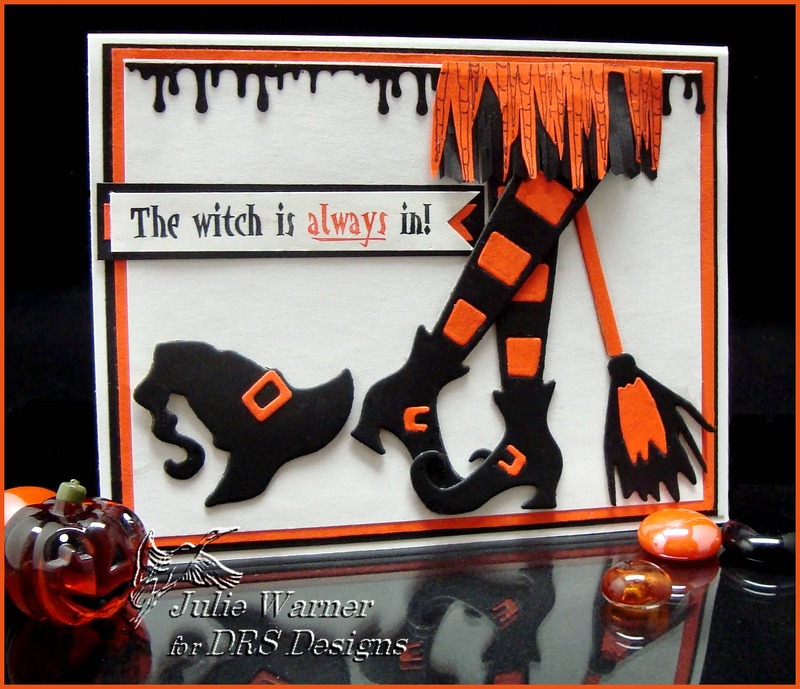 The Witch is ALWAYS In! 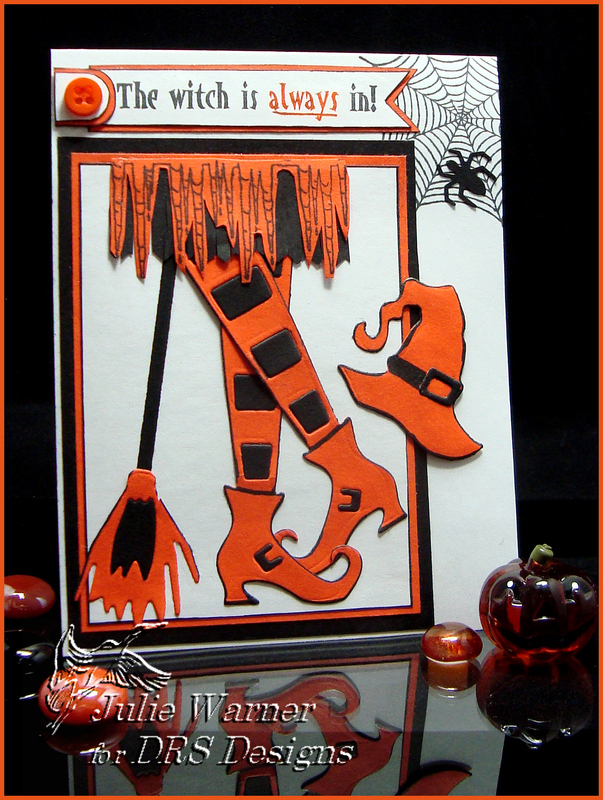 Halloween is almost here and I have a couple of cards to get you in the mood so drop on in for a spell over on the DRS Designs blog and check them out! Very cool combo challenge on Splitcoast today (CC346)! 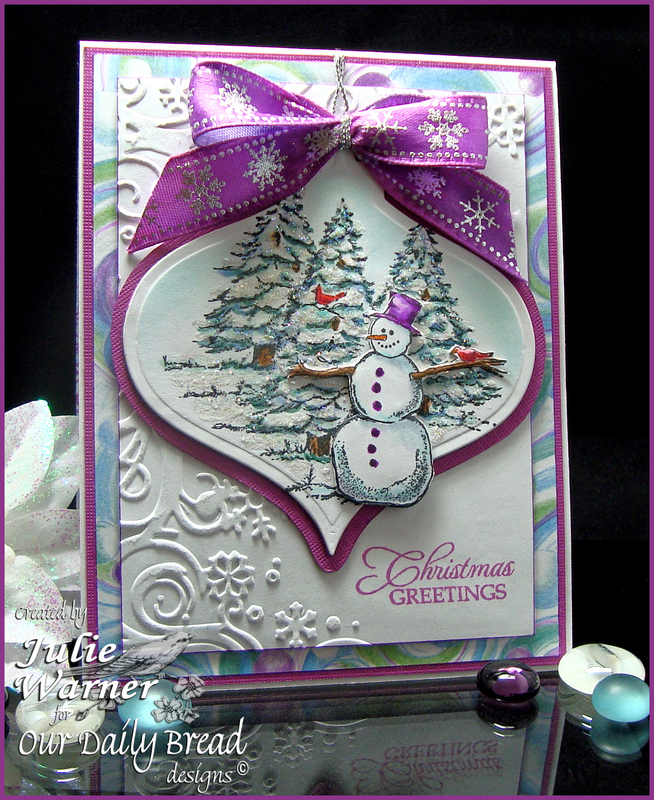 I like it for winter cards. I had to use as close a clone as I could come to the razzleberry so mine may be a little on the purple side. All images are sneak peeks of new Our Daily Bread designs images to be released 11/1/11! Now the snowman scene wasn’t specifically designed to go w/ the new Spellbinders ornaments, but I think it fits nicely and I like the snowman a little out of the box. The scene was colored w/ markers then I added some stickles on top for snow sparkle. 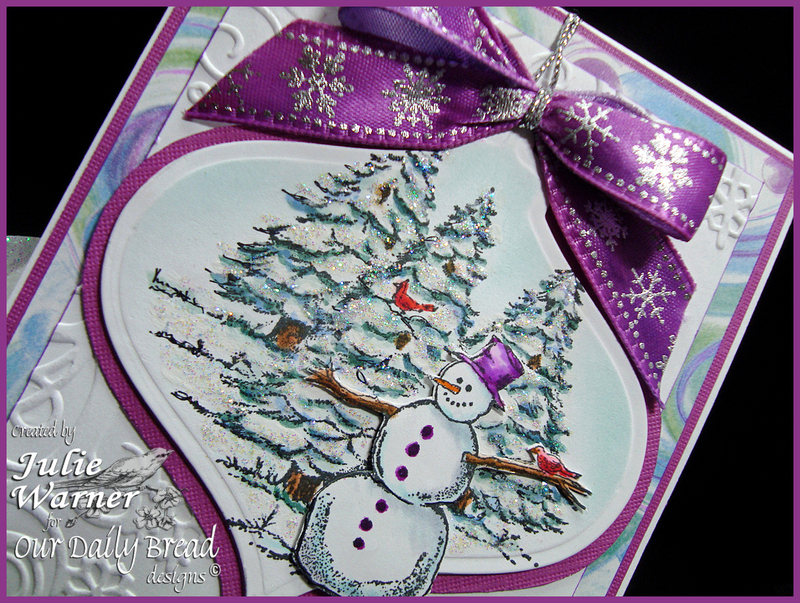 The white was embossed w/ snowflake ef and since it’s a one sided embossing, I was able to add the sentiment in the lower right. The ribbon was originally pink w/ silver flakes, but I used markers to make it match. The card measures 4.25 x 5.50.